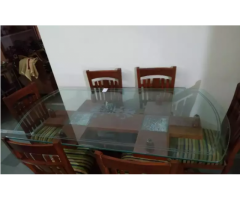 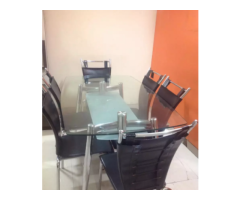 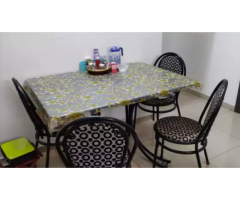 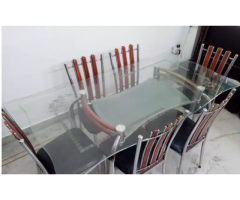 This is a Dining Table (Glass Top) Iron Frame along with 4 Chairs (Cushioned) in Good Condition about 5 years Old. 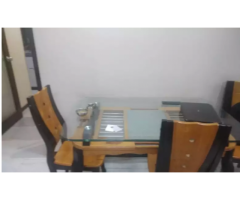 The reason for selling: Relocation. 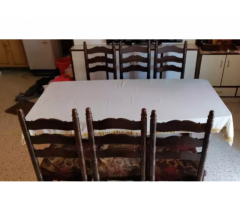 Price negotiable for genuinely interested guys. 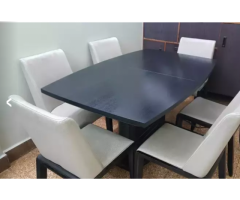 It's a six-seater dining table with six cushioned chairs. 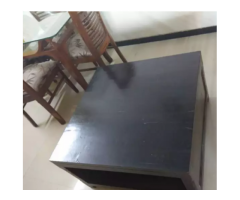 Made of premium quality wood. 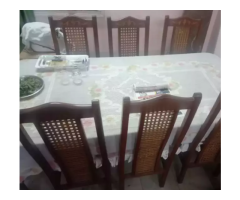 Original teak wood sagwan dining table with 6 sofa type chairs.